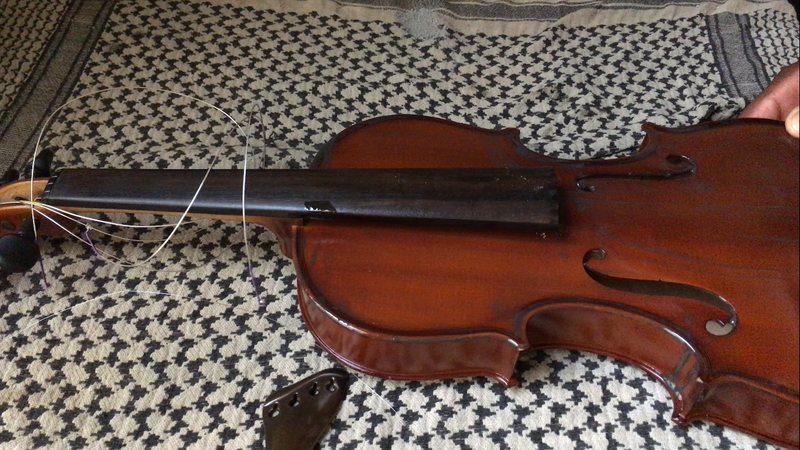 This violin has been in my possession for 21 months nearly two years. 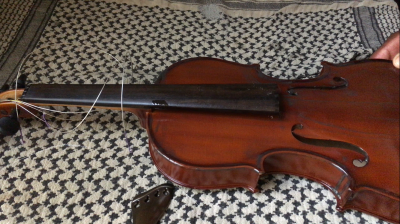 I try to play it 2 hours a day but I've even played it for as much as eights hours a day when I first started. 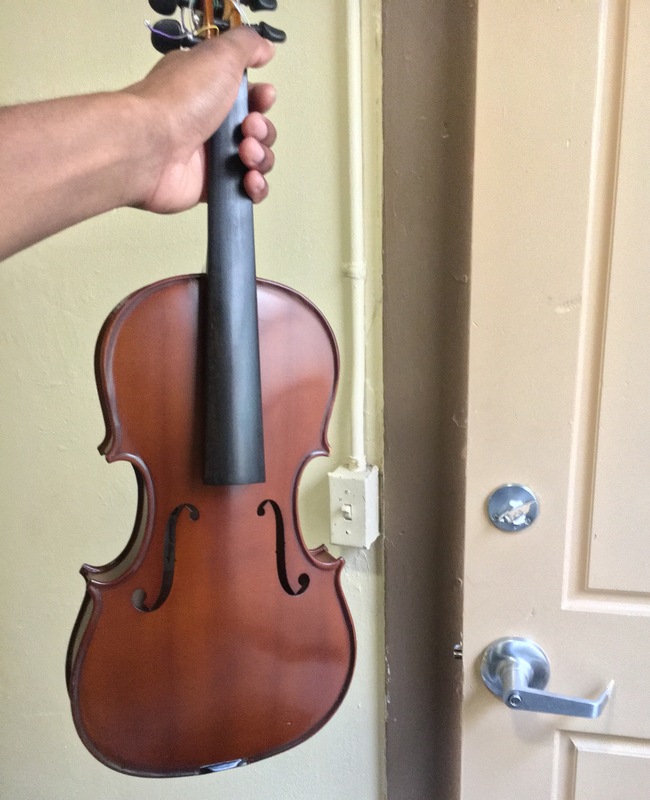 So you can understand the type of " playing in " , accidents, aging, antiquing, and et cetera the fiddle has come across in its short life. 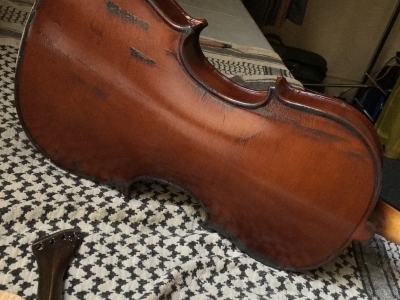 Today, I did a restoration to the varnish by using an oil soaked felt brick and an abrasive powder to level the varnish and erase tiny scratches from when I used a terry cloth as a polish rag , detached frog damage (in case) , those sorts of normal wear and tear. 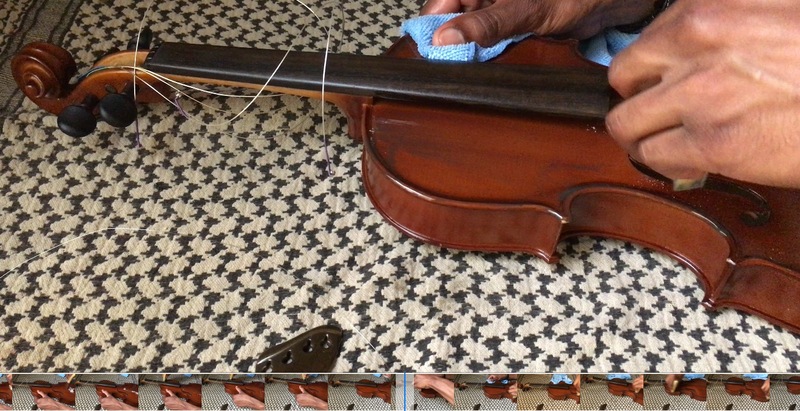 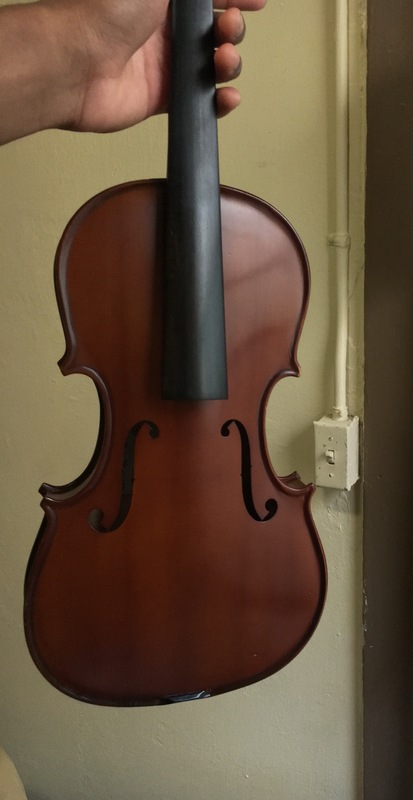 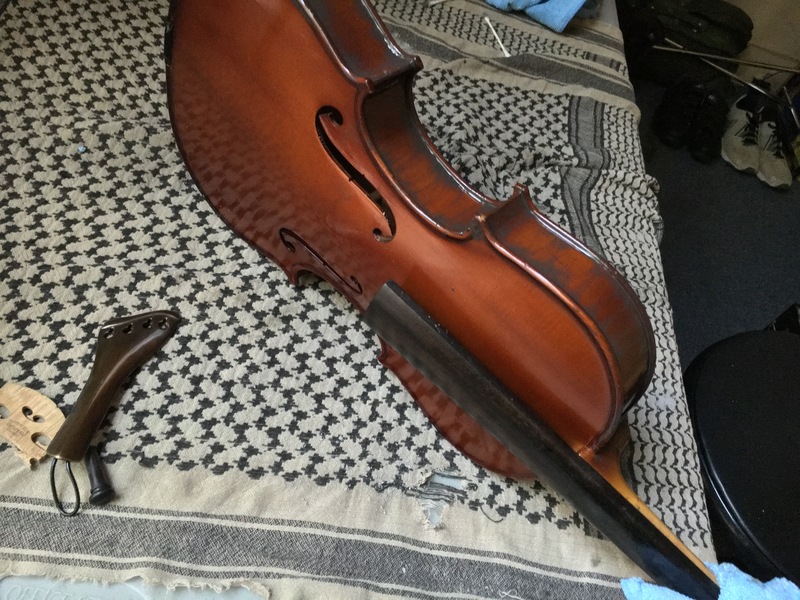 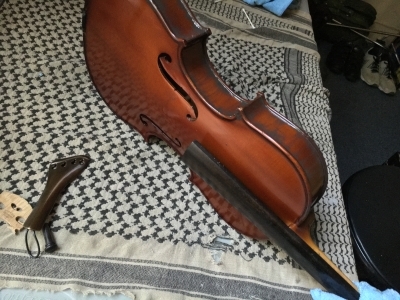 This is the second DIY violin repair I've performed on my instrument. 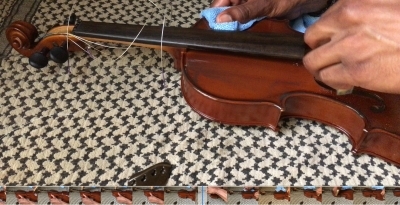 The first was fixing a warped bridge by soaking it in water then flattening it with books and weights.